When examining the potential Chicago private boat cruises, it’s easy to get overwhelmed by the possibilities. From Lake Michigan, the Play Pen, to the Chicago River, there are plenty of ways to experience Chicago. While 2-3 hour charters are fun, they fail to completely capture what makes this city so enchanting. 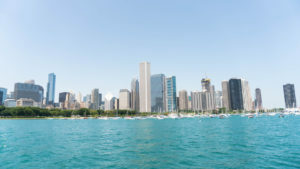 Chicago is absolutely packed with exquisite sights to see at every turn, which makes the option to rent a yacht for a day Chicago the best option. There’s no need to rush when touring Chicago, since there’s enough to explore for multiple days. 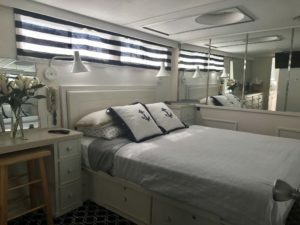 Get a glimpse of what’s available with this in-depth list of rent a yacht for a day Chicago cruise options! One of the many advantages of full day charters is starting the day on your terms. We embark on any hours requested, and are flexible depending on our client’s needs. From there brunch can be enjoyed at 11am, and then the day begins. Thanks to our robust line of charters, clients have multiple private boat tours to choose from. Each one caters to different tastes, history, and backgrounds. Not to mention clients can enhance their Chicago private boat cruises with an architectural docent, so browse through our extensive list of options when you rent a yacht for a day, and decide what’s going to be included in your daylong charter! 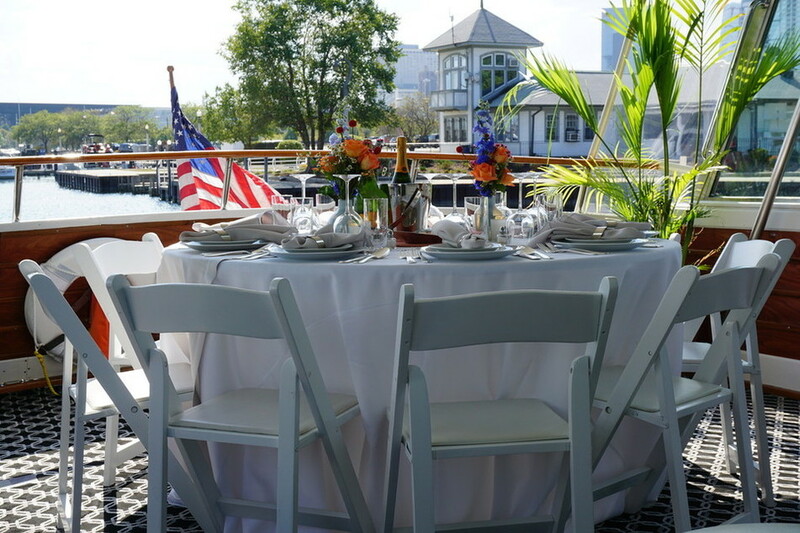 1) Brunch Cruise Chicago –After experiencing the amenities that Adeline’s has to offer, there’s no denying that brunches were made for private yachts. From waffle bars to omelet stations, our guests get access to a slew of premium buffet-style dining options. Salads and fresh fruit are also available, so everyone can indulge without feeling guilty. All this is complimented by limitless mimosas and breathtaking views of Lake Michigan. It doesn’t get more refreshing than ushering in a new day on the open water, so don’t hesitate to add this option to your charter! 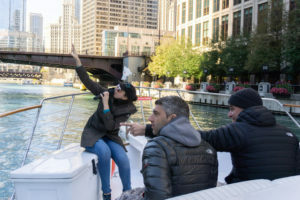 2) Chicago River Cruise –When touring the Chicago River, no other vessel can provide the same level of luxury and attention as Adeline’s Sea Moose. 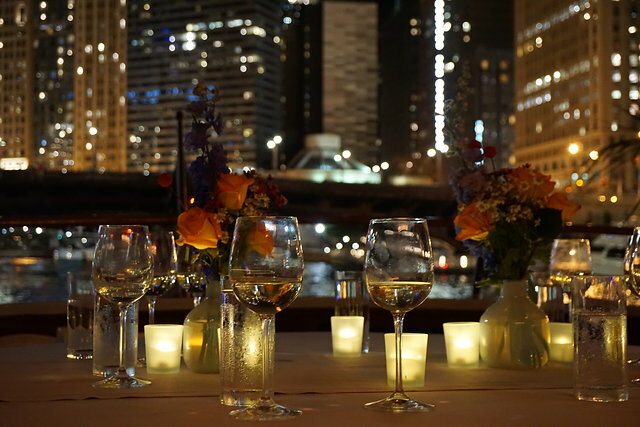 Our yacht is the only 68-foot vessel that’s licensed to charter down the Chicago River. Boasting 4 levels that can comfortably accommodate up to 45 passengers, we provide a delightfully unique experience. Between the high-end amenities and flexible cruise options, this is an exceptional adventure! 3) Navy Pier Cruises –In many ways, Navy Pier embodies all the perks of travelling on Lake Michigan. The spectacular views of Chicago’s skyline are complimented by weekly fireworks shows during the summer. 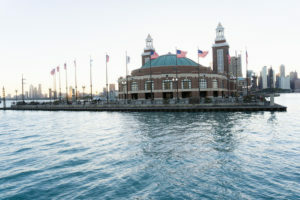 Cruising down Navy Pier provides unique vantage points of Grant Park, Buckingham Fountain, Shedd Aquarium and the Aon Center. Seeing the sights is essential, so come experience them in true luxury. 4) Lake Michigan Cruises Chicago –Boasting a stunning view of Chicago’s skyline, Lake Michigan has enough charm to captivate even the most jaded traveler. By chartering our yacht, guests get to enjoy the best of Lake Michigan. Our two lounges and sprawling deck area allow visitors to feel at home while on the water. Discover why Chicago captivates over 50 million tourists a year with this exceptionally hospitable introduction. 5) Chicago Architecture Boat Tour –This city pioneered skyscrapers, which makes it a prime destination to examine modern architecture. Each building has a story, and our talented team of docents explain the history in vivid detail. Chicago is bursting at the seams with interesting facts, so come learn how deep of an impact the city’s innovations made on America! 6) Chicago Dinner Cruise –Despite having an unlimited amount of fine dining options available within city limits, they can’t compare to a unique dinner on our vessel. Our exceptional chefs prepare everything from sushi to four-course meals. For larger gatherings we offer catering options from Sunda, Chicago Chop House, Harry Cary and Lou Malnati’s. No theme or cuisine style is too exotic for our chefs, so feel free to plan a sensational dining experience! 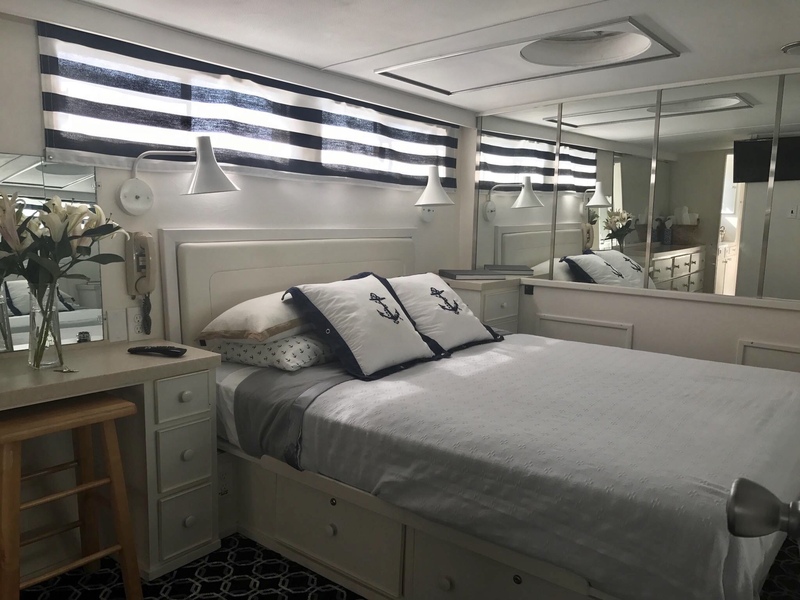 7) Overnight Yacht Rental Chicago –For those who are searching for the perfect way to end a night in Chicago, this option is ideal. Escape the distractions of the city with this perfectly placed getaway. 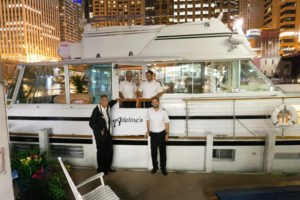 Adeline’s Sea Moose is docked in Dunham Harbor, which allows easy access to downtown Chicago. On top of offering a welcome dose of seclusion, spending the night on our yacht provides breathtaking views of Chicago’s skyline. Seeing the lights shimmer off the water makes any night unforgettable, so come enjoy an intimate rendezvous in the heart of the city! As you can see from this list, Chicago has enough attractions to warrant a full-day charter. There are so many options for private boat cruises when you rent a yacht for a day Chicago. Our exciting cruise options can be mixed and matched in one trip, which allows clients to pick what’s right for them. We put our guests in charge of their charters, so contact us to plan a welcome break from traditional cruises packed with way too many strangers. Read more on how much it costs to rent a yacht for a day in Chicago to start estimating.